For Fair Food week at Coburg Farmers Market a forum was held to discuss food and agriculture in the context of the Victorian state election on 29th November 29 2014. After all, food is an essential ingredient in our economy, our culture and society. It is something we all consume and relate to. Yet neither of the major parties provided a candidate from two electorates to attend this forum. All candidates for the seats of Brunswick and Pascoe Vale who had so far committed to stand were invited to speak. If you remember the Federal Election last year many novice Liberal candidates went to ground and refused to appear in public forums. That was the experience in Wills. The Fair Food Forum in Wills last year was attended by Federal Labor MP Kelvin Thomson, the Greens Tim Read and Socialist Alliance’s Maragarita Windisch with an interesting debate and range of questions from the audience. Brunswick and Pascoe Vale are traditionally strong Labor party seats which form the basis for the Federal electorate of Wills. For the first time The Greens overtook the Liberals after preferences to come second to Labor in Wills. Much of the Green vote was concentrated in the southern suburbs of Brunswick, Brunswick East and West Brunswick. According to Antony Green’s Guide, Labor in Brunswick has a margin of just 3.6 per cent to the Greens in this electorate. See a seat profile of Brunswick at the Unipollwatch website with candidate profiles of sitting Labor MP Jane Garrett, and challenger for the Greens Tim Read. I saw both of these candidates at the Coburg Carnivale the previous weekend where Moreland Council launched it’s Zero Carbon Evolution strategy plan to reduce community carbon emissions by 22 per cent by 2020. On that occasion Jane Garrett had an opportunity to formally speak (See Youtube video), along with Labor Mayor Lambros Tapinos and Federal Labor MP Kelvin Thomson, while somewhere in the crowd Tim Read listened. 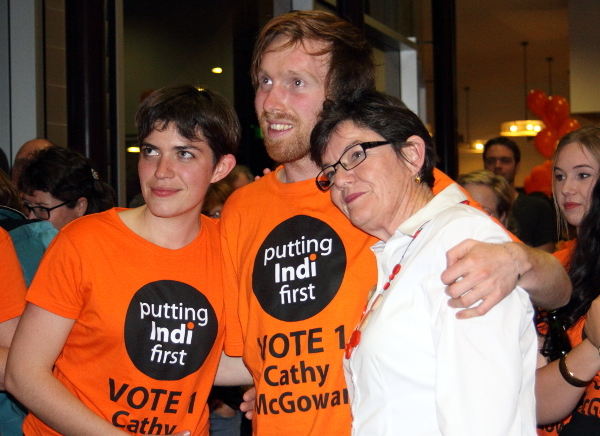 Unlike Thomson who has been willing to engage with members of Climate Action Moreland, State MP Jane Garrett has been decidedly cool in dealing with this active and vocal community group. A climate protest was even held outside her electorate office in November 2010 over Victorian Labor’s poor record on climate change action. Subsequent approaches by the group have met a cool reception. The seat of Pascoe Vale, based on the suburbs of Coburg and Pascoe Vale, is a safe Labor seat on a margin of 18.5 per cent but is being vacated by retiring MP Christine Campbell. Labor have chosen Lizzie Blandthorn, a former Labor party staffer to Labor Sports Minister James Merlino, and has also worked with the the Shop, Distributive and Allied (SDA) Employees Association and currently is employed by the Catholic Education Office. Some local citizens are critical of Blandthorn’s pro-life stance on abortion, with a Crikey report from 2010 describing her as a ‘pro-life warrior’. Gay activist Rodney Croome described a submission she wrote on behalf of the SDA to the Victorian Law Reform Commission Enquiry into parenting reform as ‘homophobic’. Currently confirmed candidates running against Blandthorn are the Greens Liam Farelly and Socialist Alliance’s Sean Brocklehurst. 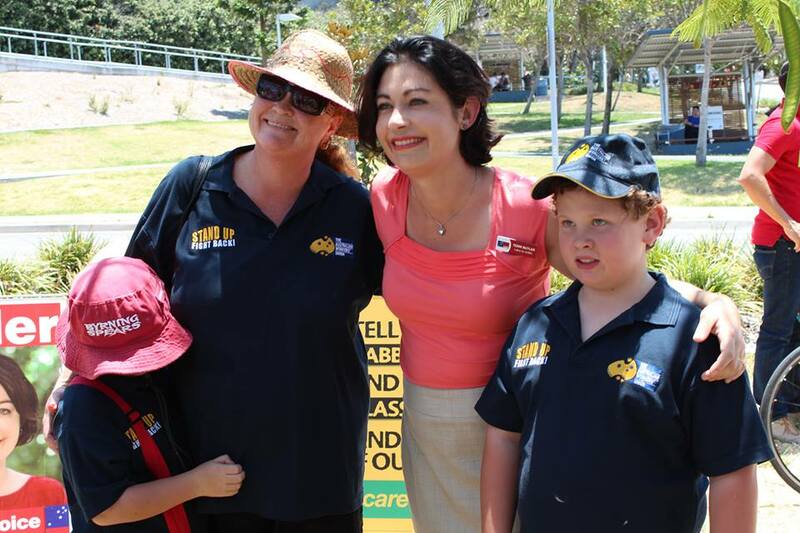 For the Fair Food forum the Labor MP for Brunswick Jane Garrett (@Jane_GarrettMP) made herself unavailable and did not commit or attend to the event. Lizzie Blandthorn (Facebook), the ALP candidate for Pascoe Vale taking over from retiring Labor MP Christine Campbell, initially said yes, but then did not attend and in fact booked herself to open a new community market located several hundred metres away next to Batman station. Those who did attend included two candidates from the Greens: Tim Read (@TimRRead) standing as a candidate for Brunswick and Liam Farrelly standing for Pascoe Vale. They were joined by Dean O’Callaghan standing for Brunswick for the Save the Planet Party, and Sean Brocklehurst (@sean4pascoevale) standing for Pascoe Vale for Socialist Alliance. Natalie Abboud, who organised the Fair Food forum at Coburg Farmers Market, told the crowd she had contacted all the candidates as listed on Antony Green’s Victoria Votes ABC election guide. “I had a verbal conversation with Lizzie Blandthorn at this market who agreed to come along and then didn’t answer my calls, didn’t answer my emails. I was notified late in the piece that she is opening this thing [Batman Market] down the road.” Natalie Abboud said. Abboud also told me she was sent a text message at 11.30pm on Friday night from the Liberal candidate for Brunswick Giuseppe Velotti cancelling at the last minute. Despite the absence of Liberal and Labor candidates, the forum proceeded. Both Green candidates are very articulate and talked about the policies they would like to see introduced at a state level for food and agriculture. “Food production is no longer considered the domain of feeding us people, it is considered a commodity which is to be traded. Combine that with the duopoly of the retail industry, between ‘ColesWorth’, and now we have a scenario where food is actually being produced for the sake of the export markets at the risk of local sustainability.” said Farelly. He also detailed some of his family history originating in the Irish potato famine with his ancestors emigrating to Australia where they settled into farming in the Western District of Victoria.” said Liam Farelly, a psychologist and local resident. He was the only speaker to raise opposition to genetically Modified Organism (GMOs) at the forum. Save the Planet Party argue that we are already in a climate emergency that requires substantial emergency social response. 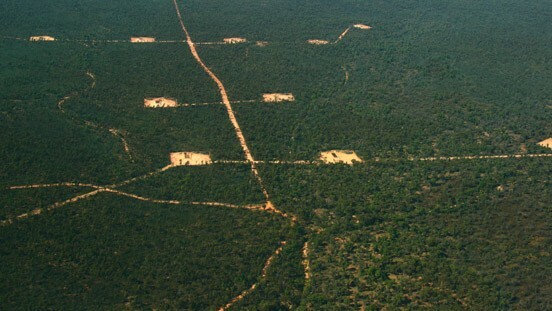 By providing and advocating radical action to address climate change, it helps to paint the Greens in a more moderate mainstream light. The battle for Brunswick is heating up with both Labor and Greens campaign camps actively door-knocking. It is going to be a nail biter on election night. In fact according to the The Age up to one third of all votes may be postal or prepoll that don’t get counted on election night. We may not find out who wins in Brunswick till a week or two later. 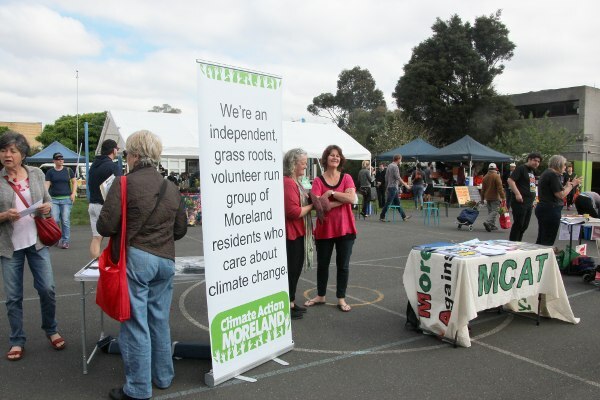 Disclosure: Although not a member of any political party, I am active in issue based politics being a member of Climate Action Moreland that has dealings with local politicians at all three levels of Government.